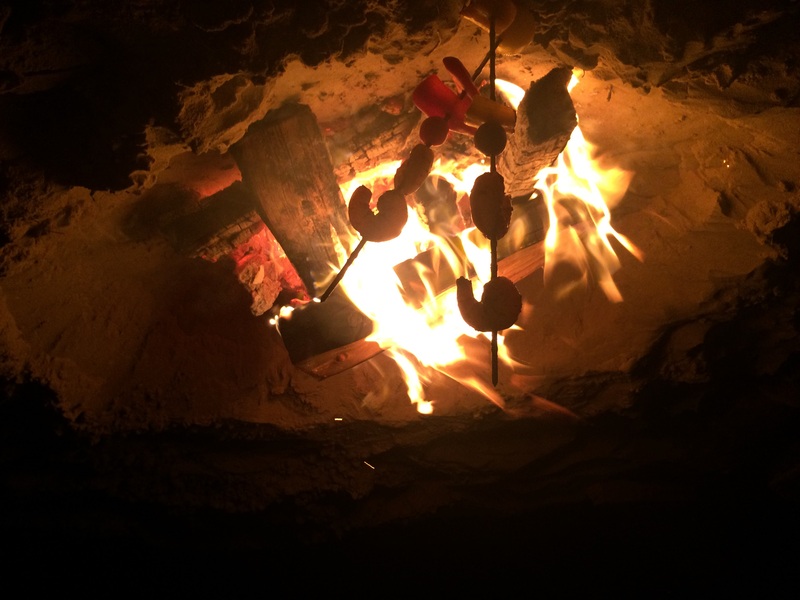 Sitting with friends around the campfire, watching the waves, cooking simple camp food, and enjoying life…. Ah, yes. This is one of the Flavor Team‘s favorite activities, all year round. 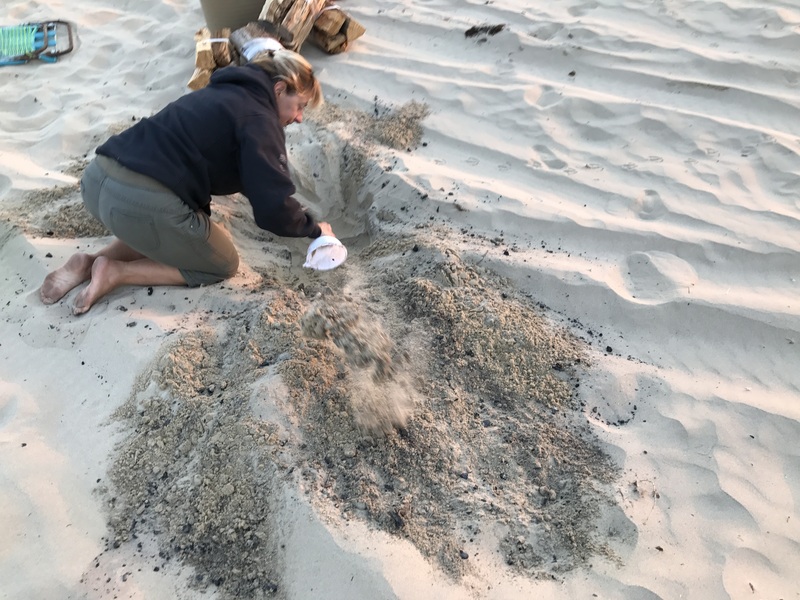 Over the years, we’ve learned a few tricks to building a beach fire. Here’s what you need to know to create your own firelight memories. The long stretch of sand that connects Pismo Beach, Grover Beach, and Oceano has a lot going for it. First, you can walk for miles, and at any time of day. This sandy expanse is broad and open, so you won’t get caught by high tide and be stranded (or worse!). 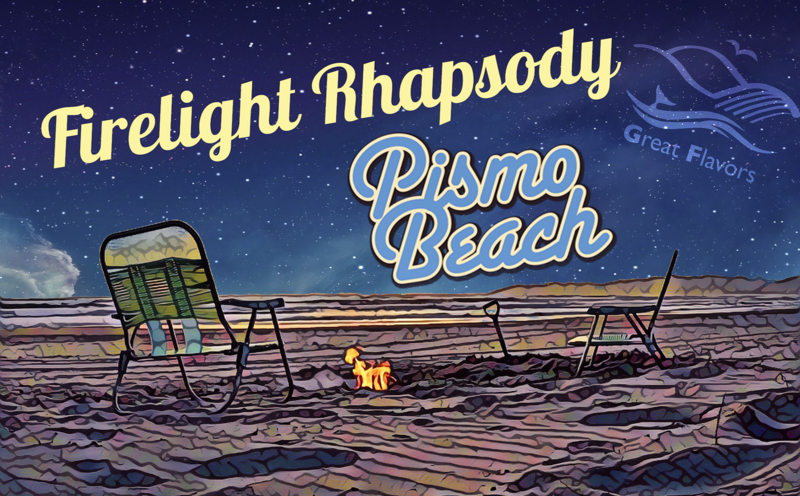 Second, Pismo Beach is one of the few beaches in California (and maybe the world) where you can drive your car. 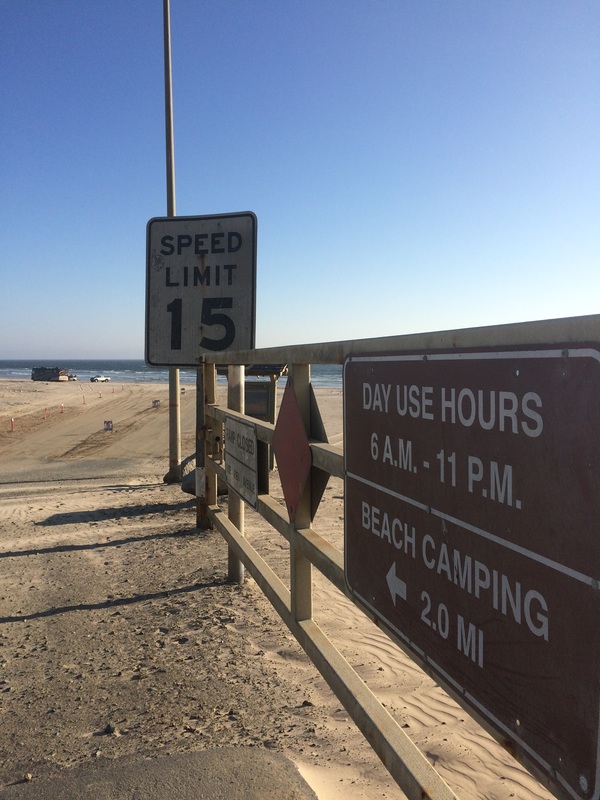 Between the entrance stations at Grover Beach and Oceano, and a bit south to the designated beach camping area, you can drive about three miles of coastline. Miles of sand stretch between Pismo Beach on the north to Oceano on the south. South of Pismo Pier lies the Grover Beach entrance station and the start of vehicle access. The third—and in our opinion the most special—reason? 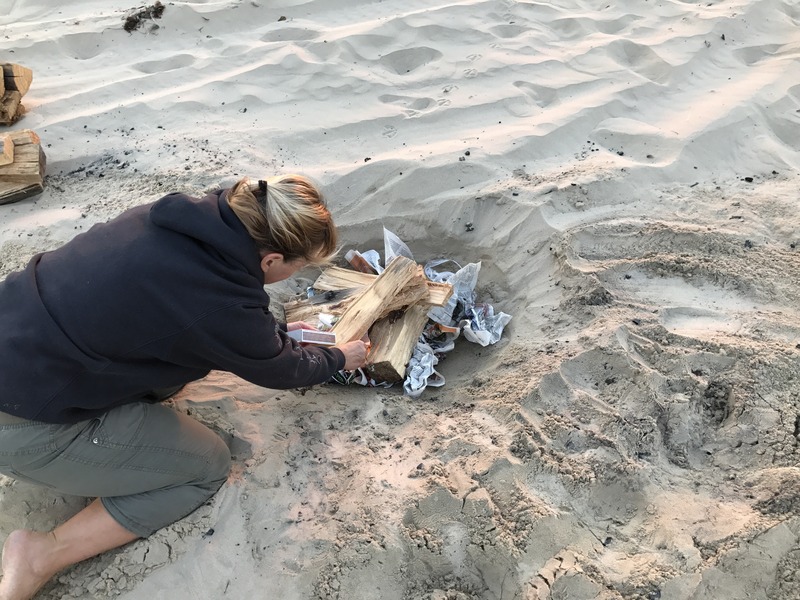 You can build a campfire right on the sand! There’s nothing more sad than watching a group unload their car, super excited to set up camp for the afternoon or evening. With chairs circled up and coolers unloaded, they turn to the business of fire starting. Despite liberal dousing of lighter fluid and the entire Sunday newspaper to act as kindling, they only get sputters and lots of smoke for their efforts. Just read through these tips before heading out. Your campfire success is virtually ensured. Before you head out to the beach, check the tide schedule for the day. We like www.tides4fishing.com/us/california/port-san-luis, or the free “Tides Near Me” app using Port San Luis as the location. Note both the times for high tides and the height of the high tide during the hours you plan to be at the beach. High tides of 6’ and more can seriously limit the amount of sand that’s easy to drive on. 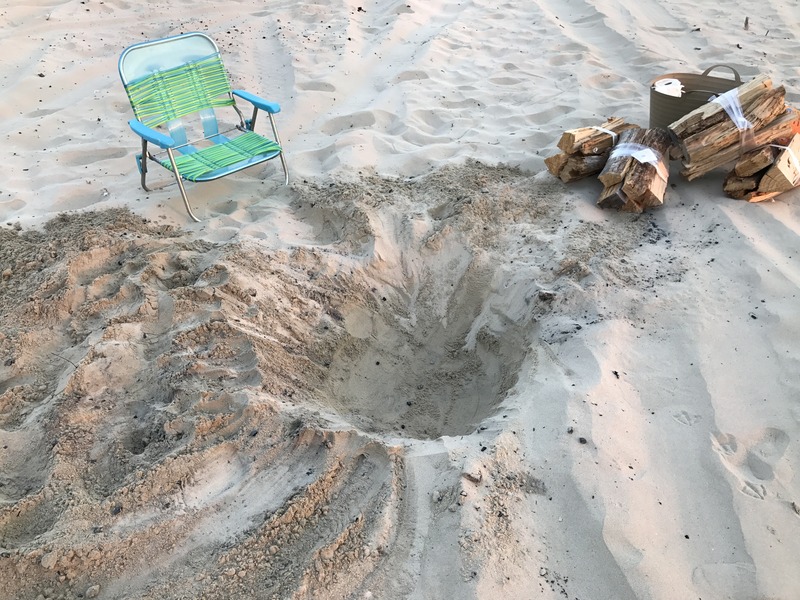 This may, in turn, affect your ability to drive on the beach to have a campfire. 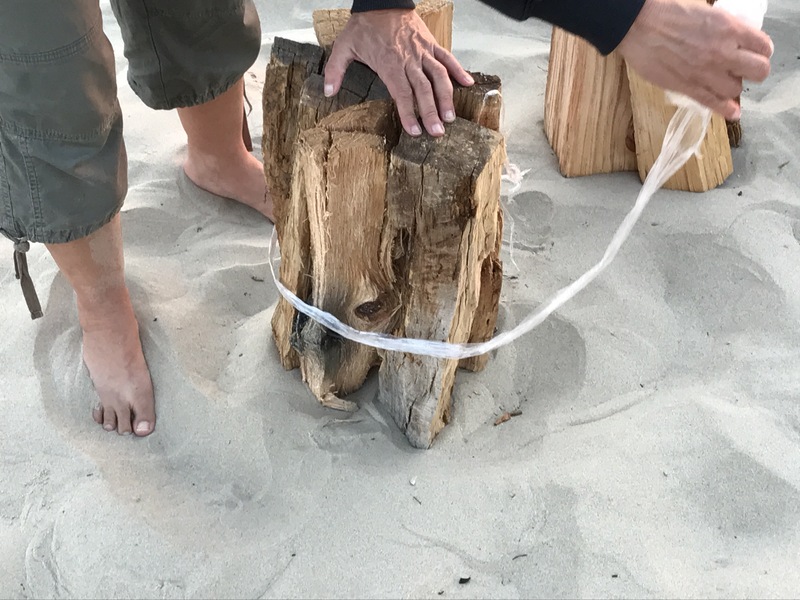 For beach campfires, the right firewood is critical to success. 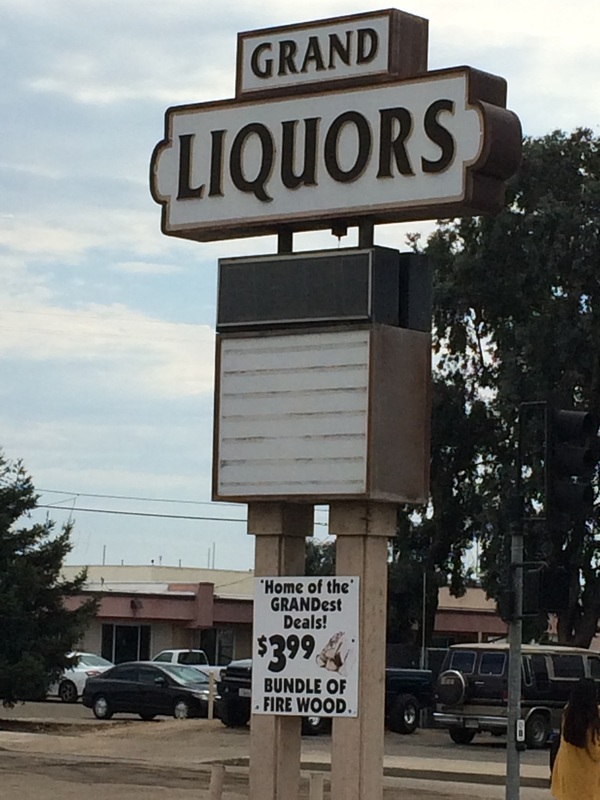 Grand Liquors in Grover Beach is the Flavor Team’s go-to place for the best firewood at the best price. One of the best, and cheapest, places we’ve found for firewood is the Grand Liquors store at the corner of 8th and Grand. The price never seems to waver from $3.99 per bundle, and it’s dry, sappy, and super easy to get started. While you’re there, pick up last-minute snacks and beverages (remember, no glass containers on the beach). For a fire that lasts from late afternoon through the evening, plan to get five or six bundles of wood. 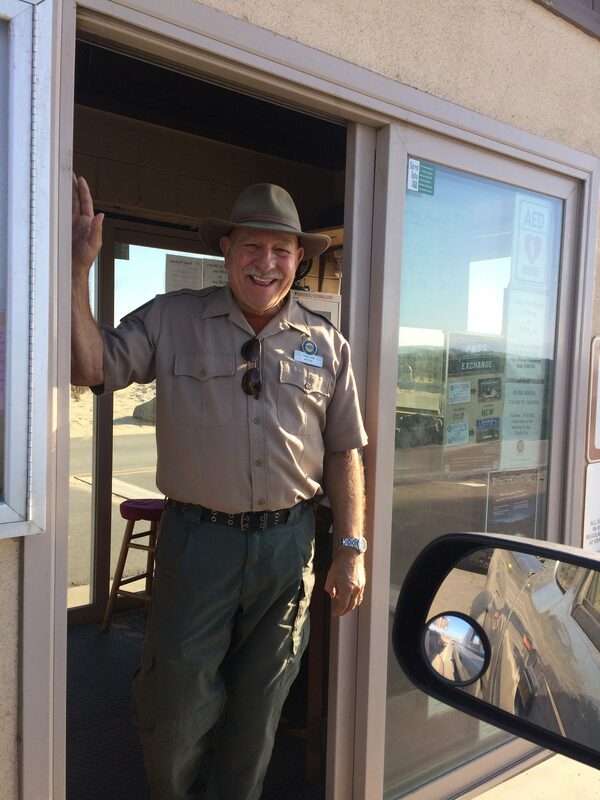 Pick up your day pass from one of the friendly California Parks employees at the entrance station at Grover Beach or Oceano. 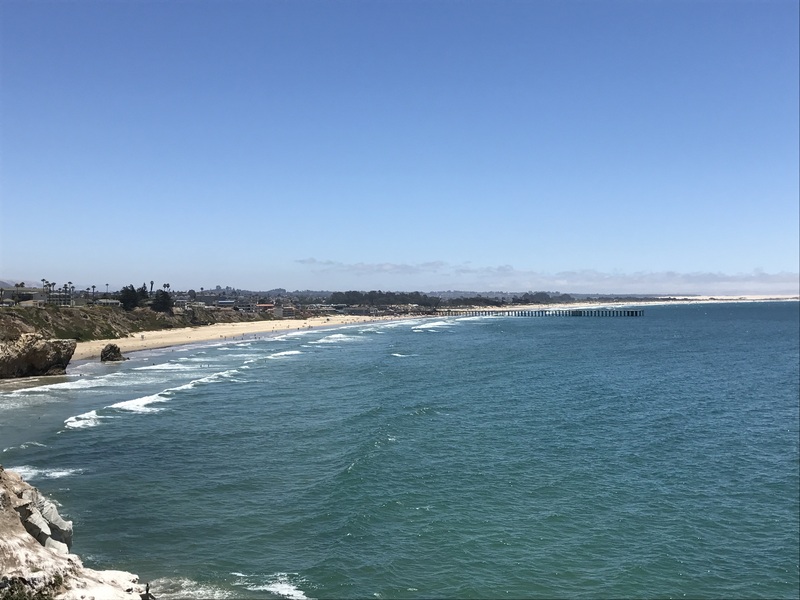 If you’re visiting Pismo Beach for just a day or two, stop at either the Grover Beach or Oceano entrance station and get your day pass. It’s $5.00, and the beach is open from 6:00 am to 11:00 pm. If you’re a new resident or going to be in town for a while, spring for an annual pass at $50. Note that this is the price at the time of this article. We’ve heard some rumors that the price for the annual pass will increase to $100 in the fall. Get yours now if you plan lots of beach outings in the next year. While it’s best to have a four-wheel-drive or all-wheel-drive vehicle, it’s not absolutely required—if you pay attention to the tides and drive according to the rules of sand. If you can pick a time when the tide is going out or is already at low tide, you’ll have the widest path of packed sand. This can be driven with a normal vehicle. While it’s fun to watch the big trucks with flags flying negotiate the deeper sand, it’s a sure-fire way to get stuck. Even four-wheel-drive vehicles get stuck. For serious sand driving, you may hear the tip to let some air out of your tires. It does help increase the surface area and decrease the likelihood of getting stuck, but for our purposes, we won’t need to do this. Our primary tip: stay on the hard-packed sand as you scout your spot. Drive steadily, but not too slowly, like you would on snow or iced or rain-slick pavement. 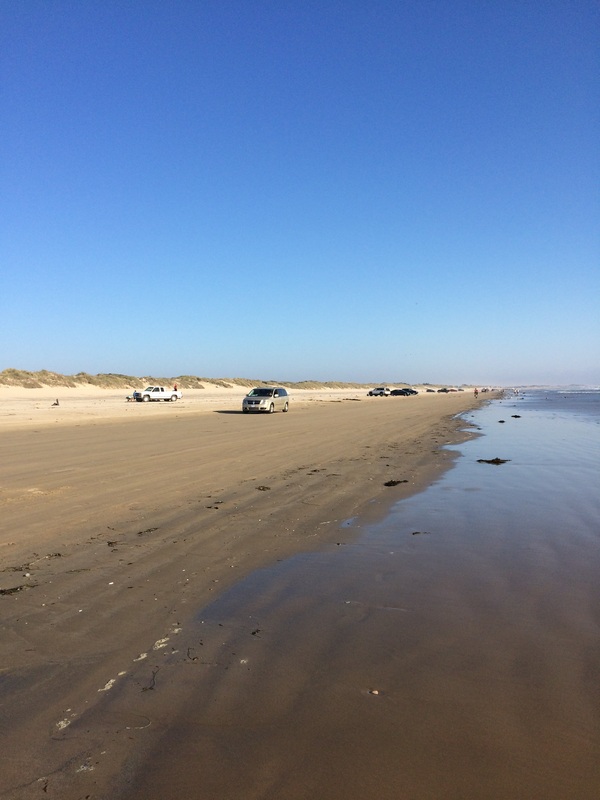 If you mind your (sand driving) manners and pay attention to the tide schedule, you can drive a car or van without four-wheel drive on the hard packed sand. When you find your campfire spot, back in gently. Don’t rev the engine or accelerate suddenly, as this will create a nice tire-engulfing hole from which you’ll spend the next hour digging out. Also be sure to park far enough away from the water’s edge to allow for the tide to come in as well as to be out of range of rogue waves and traffic. You can judge roughly how far back to park by where others are parked, and the lifeguard stations are well beyond the reach of the ocean. Unless you’re coming at the top of high tide and will be leaving before the tide comes back in, don’t set up camp just a few feet away from the ripples. It’s a drag to move chairs and belongings in a mad dash when the tide’s coming in. Now it’s time for the most crucial step: digging the hole. Like Goldilocks, the hole needs to be not too deep, not too shallow, not too wide, but just right to give the wood room to burn but protect it from the westerly winds that can kick up before dusk, have it close enough to ground level to allow for hotdog and marshmallow roasting, and warm your legs as you sit around the fire after dark. We’ve found that about 24-30 inches in diameter and about a foot deep makes for a good fire pit. A plastic funnel is one of the best tools to dig a fire pit! Aim for a pit about two feet in diameter and one foot deep. To dig the pit, if you have a small camp shovel, by all means use it, but don’t go buy a shovel just for your digging the pit. Nosiree. One of the best, cheapest tools is the plastic funnel for adding oil to your car! Not the one with the super long tip, but the normal round funnel with a tip about two inches long. Trust us on this. Voila! Pit finished in record time with the Great Flavors secret digging tool. The firewood and firestarting supplies can’t wait to jump in and start the party. The funnel shape makes it easy to both scrape the sides of the pit and toss out the loose sand. Your pit will be dug in minutes flat. Take one sheet of newspaper at a time and crumple it into a ball. Make a nest in the bottom of the pit with a full layer of crumpled newspaper. Don’t get lazy and crumple up several sheets at once. The fire needs air and thin paper to start, so a thick wad of newspaper won’t cut it. The easiest way to unwrap a bundle of firewood is to hold it vertically and unwind. Doing it the other way is just frustrating. Make a nest of single sheets of newspaper crumbled into balls and lay in the pit. Top with a large log, and then prop one end of smaller logs in a triangle pattern, keeping space for air circulation. Strike the match low in the pit so it doesn’t blow out in the wind, and light the newspaper from underneath in several places. A One Match Fire is always our goal, and you can do it, too! Now, channel your inner Girl Scout or Boy Scout. Lay one large piece of firewood on top of the newspaper nest. Then prop the ends of thinner logs on top in a rough triangle shape. Be sure to leave enough space between the thinner logs so the air can get through. Fill in the holes with more crumpled newspaper. Using a long wooden stove match, light the paper from underneath in several places. We’ve found that matches work better than even long lighters, which tend to blow out with very little wind. Add more crumpled paper as needed, stuffing it in the holes but allowing for air circulation. Watch for the wood to start burning and add a more paper if needed in spots that aren’t burning yet. Go gently with the paper and allow the wood to ignite. Let the flame spread and grow before adding more logs on top. This is the critical point of fire starting. Impatience here can choke out the tender flames. Once the wood is burning well, and a log at a time, always keeping some space for air circulation. Within a few minutes, your fire should be going nicely. Woohoo! Dinner. Why not forego the hotdogs for skewers of shrimp and vegetables? S’mores, of course, are the highlight later in the evening. In addition to the ubiquitous hotdog (we opt for upscaling the usual dog with sausages that are already cooked and just need to be heated), one of our favorite campfire meals is skewered jumbo shrimp, bell peppers, mushrooms, and squash. These all cook quickly and about the same rate. S’mores, of course, top off the meal. We enjoy swapping out Great Flavors Bakery gluten-free graham crackers or cookies (snickerdoodles are a good choice) for the usual box of graham crackers. Or, just go with a toasted marshmallow open face on a bar of chocolate. And what about the old towels or blankets mentioned in our supply list? They’re actually for keeping your legs cool, not warm, as the hot embers can really put out the heat and almost scald bare skin. You’ll be glad you brought these, and please be careful around the open flame. The beach closes at 11:00 pm., and Park Rangers will start making their way up the beach to remind folks it’s time to go home. When you’re done, leave the fire burning. That way, walkers and drivers can see the fires in the dark instead of walking or driving over hot coals. Doh. That’s a quick way to ruin a beautiful day. Pack up your trash, and be a sport and take any other trash you see, and do a final check for a clean campsite. Then spend a moment at the water’s edge and say goodnight to the waves and the stars. They look forward to seeing you again soon.